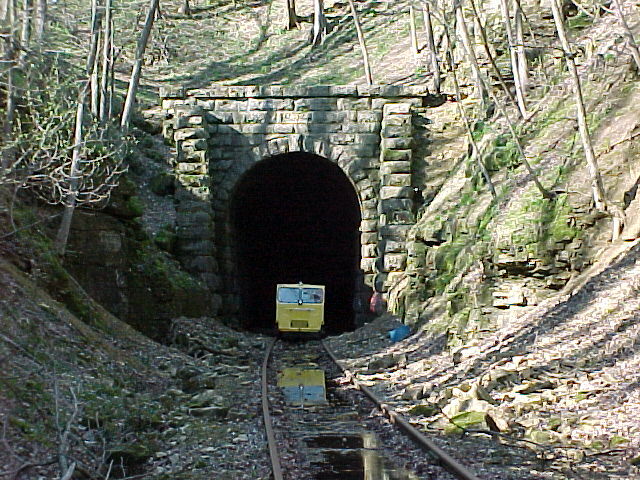 Ex- Illinois Central Main Line - South Portal of the Stewart Tunnel. A Motorcar exits the south portal of the tunnel in April 23rd 1999. In preparation for the 1999 Depot Days of Green County, the track is checked for down trees and other obsticles. Some 2,300 people will travel through this tunnel in the next couple of days.